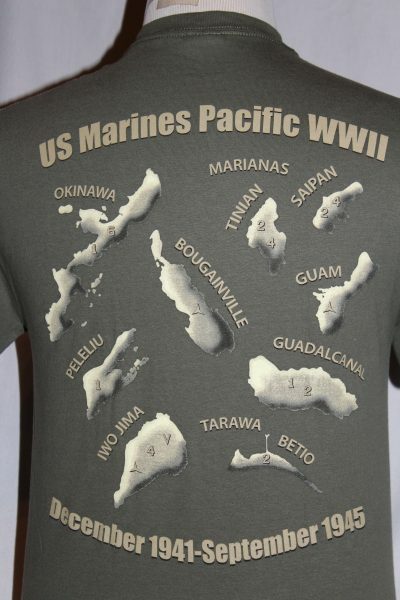 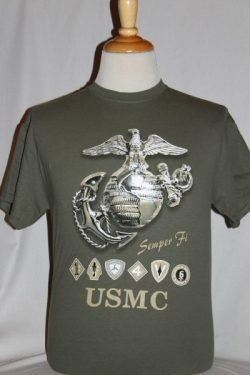 USMC WWll Pacific Island Campaign-shirt is a two sided print in Olive Drab. 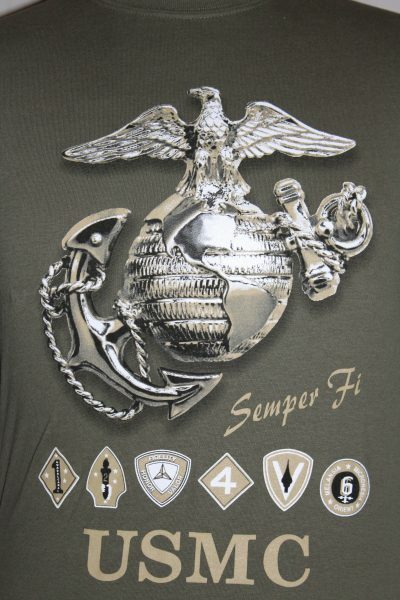 Front Design: Marine Corps Globe and Anchor with 6 division symbols from WWII. 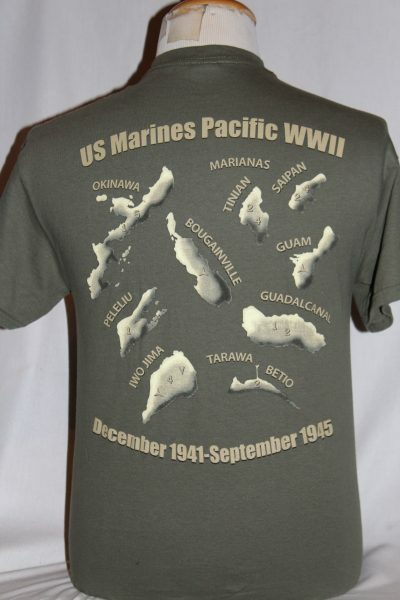 Back Design illustrates maps of the Pacific Islands invaded and captured during the from Campaigns 1941 to 1945.